Sadly, this reflection from Claire is not an isolated one. For many years, women have been telling us at BCNA that while they were able to see a breast care nurse following their diagnosis of early breast cancer, it was very hard to connect with a breast care nurse after a diagnosis of metastatic breast cancer. BCNA’s State of the Nation project (see article here) found that almost one-third of people with metastatic breast cancer (29 per cent) did not have as much contact with a breast care nurse as they felt they needed. We know how important it is for people, women and men, living with metastatic disease to have the support of a specialist nurse like Gillian (see article here). Living with incurable cancer, where treatment may be ongoing for the rest of your life, brings a whole raft of challenges. From dealing with the practicalities of managing treatment and its side effects, to making decisions about whether or not to remain in the paid workforce, to coming to terms with the enormity of a life-limiting illness and communicating this to loved ones and friends. For people with de novo disease (where their first diagnosis of breast cancer is metastatic breast cancer), there are additional challenges. They may have very little understanding of the healthcare system and how to navigate through it. The ‘language’ of breast cancer and its treatments may be completely new to them. And the first time they hear about a breast care nurse is often through their peers when they attend a community information forum or participate in an online discussion. Even then, they may struggle to understand how they can access the support of a specialist nurse. 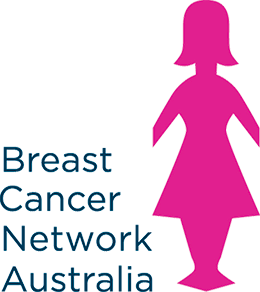 BCNA believes everyone who is diagnosed with breast cancer should have the right to be supported by a breast care nurse. For people with metastatic breast cancer, this nurse needs to have specialised training, including an understanding of treatment pathways, to be able support their very specific needs. Ensuring access to metastatic breast care nurses and cancer coordinators has been a key advocacy issue for BCNA over a number of years. Our 2013 and 2016 federal election submissions both called for new funding to increase the number of specialist advanced cancer nurses. In our State of the Nation report, we again call for an increase in the number of metastatic breast care nurses in major metropolitan and regional cancer centres and the establishment of cancer care coordinator roles to support people with metastatic disease living in rural and regional Australia. This is one of our eight priorities for urgent action. We have raised this issue with the Minister for Health, the Hon. Greg Hunt, in our meetings with him. We are heartened that the McGrath Foundation has put an increased emphasis on recruiting and training metastatic breast care nurses and we acknowledge recent appointments of new metastatic breast care nurses in Western Australia, NSW and Victoria. BCNA is working closely with the McGrath Foundation to jointly advocate for increased investment by the Federal Government into the creation of new roles to fill the gaps in care that currently exist. BCNA will continue to advocate for additional resources, including specialist nurses, to support people living with metastatic disease.